Expensify integrates with Paylocity using our custom export formats for users that would rather reimburse reports outside of Expensify. Step 1: You will need to be an admin on a Control policy. 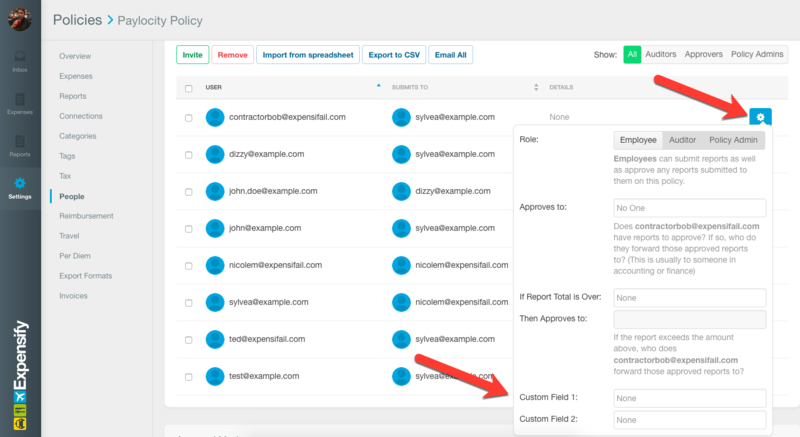 In Expensify, you can enter the Earning/Deduction Code as a Payroll Code in Settings > Policies > Group > [Policy Name] > Categories. The Employee # is entered in one of the Custom Field columns in the People section of the policy editor. Click the settings cog to the right of the employee in order to enter this code. It doesn't matter if you use Custom Field 1 or 2, as long as the CSV export format you create (below) lines up with the correct one. 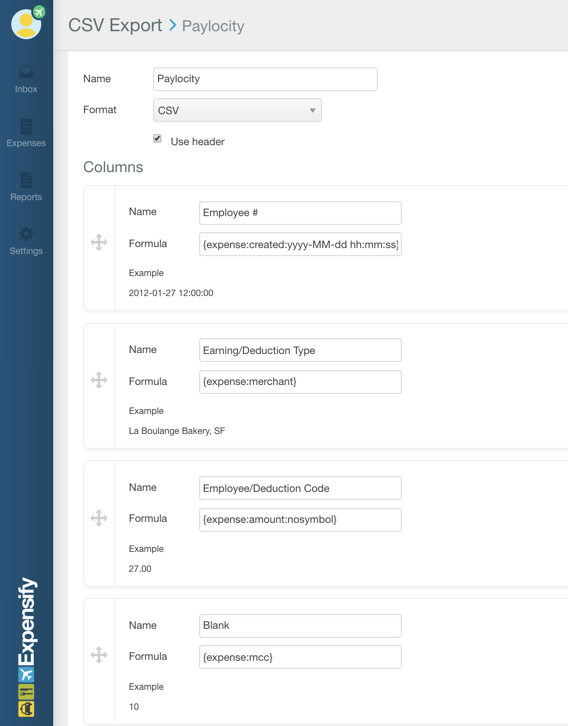 When you’re ready to close your payroll period and export your expense report information from Expensify to Paylocity, you’ll need to have the correct export format setup. Step 3 lists the column order for Paylocity. This step will show you how to create this setup in Expensify. Good news! This is the easy part. Just go to your Reports page, choose all the relevant reports you’d like to export, click on the “Export to…” button and select the name of your Paylocity export file format.